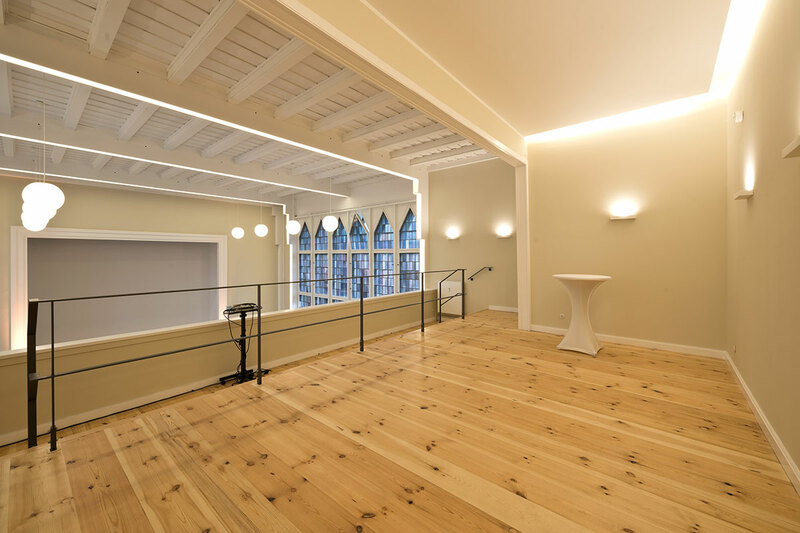 Haus Zwingli is a transformed parish hall building with over 500m² of floor space making it the smallest of the BESONDERE ORTE venues. 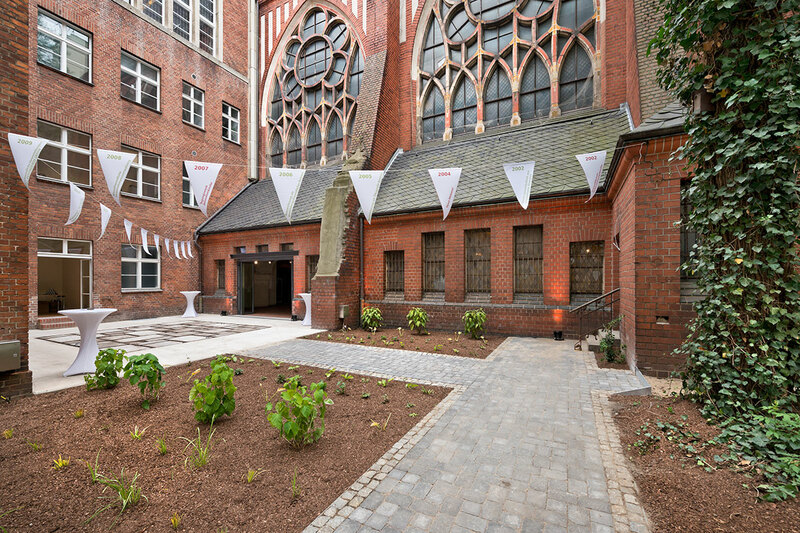 This venue is right next door to our Zwinglikirche venue in the renown Media-Spree area near Waschauer Strasse station. 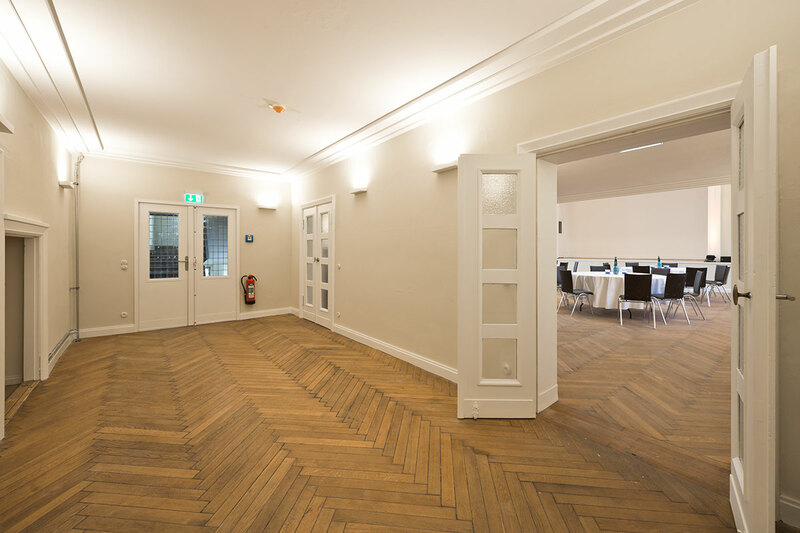 Zwingli Haus can become a complete event venue itself, either for smaller event formats such as conventions, seminars, workshops, or for more exclusive gala dinners or events. 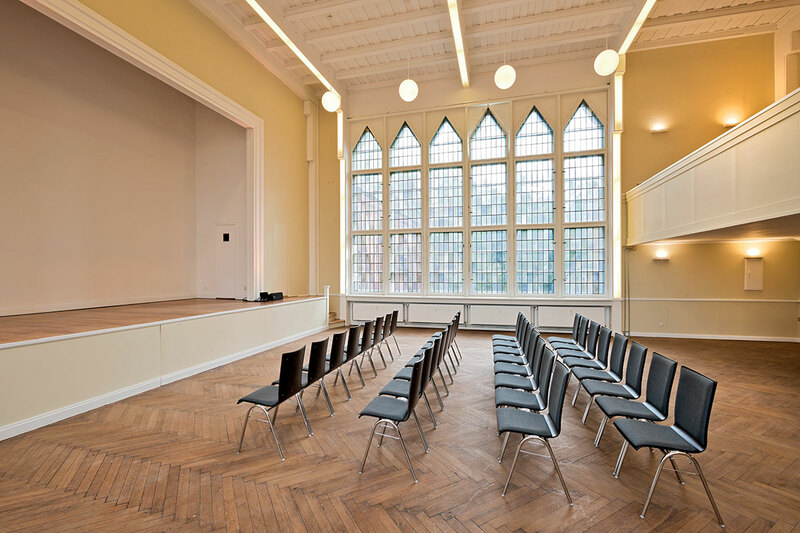 In addition, this venue can be used as an extension of the Zwinglikirche venue. 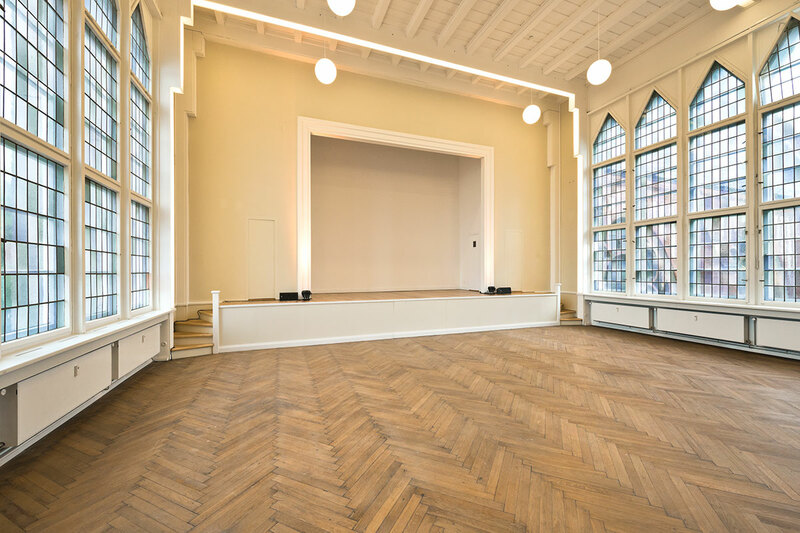 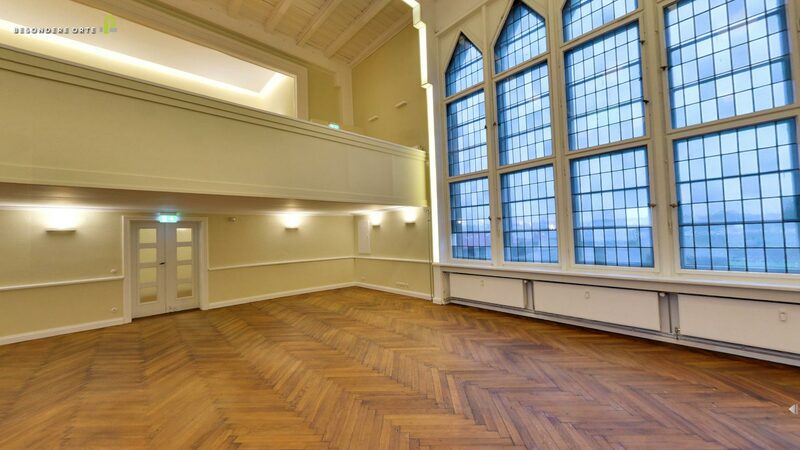 The Huldrych-Saal is an elegant and somewhat glamourous event hall that includes a built-in stage and an upstairs gallery. 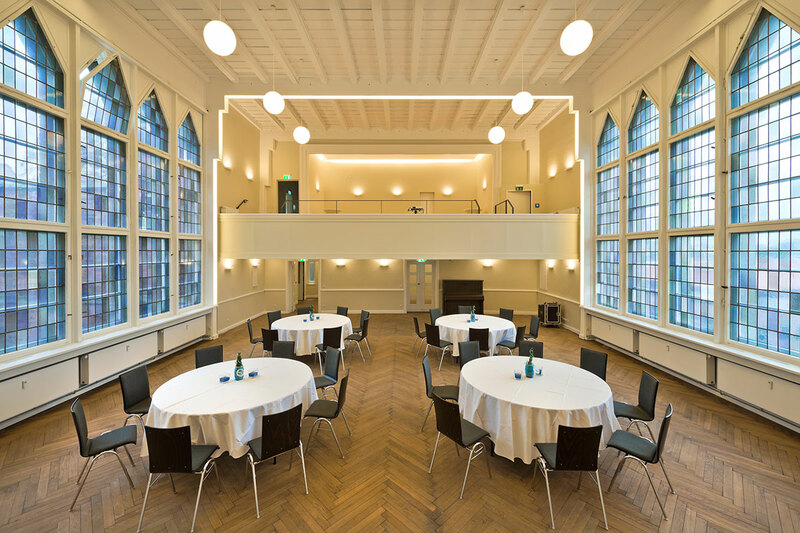 With various seating formats the hall has a capacity of 130 guests for standing receptions, an 80-person capacity for gala dinner events, or 120 people can be comfortably seated with cinema style seating. 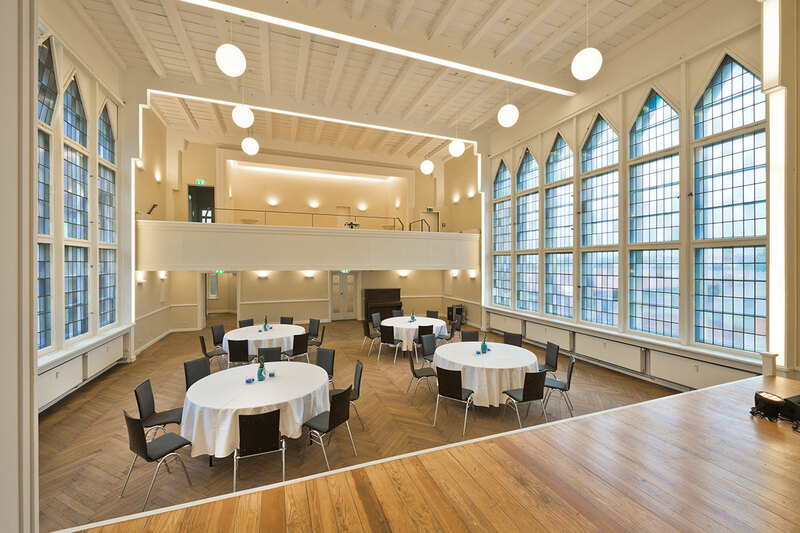 The glamour of this hall is enhanced by bands of light installed into wooden features of the walls and ceilings, while both sides of the hall are covered in beautiful leadlight windows. 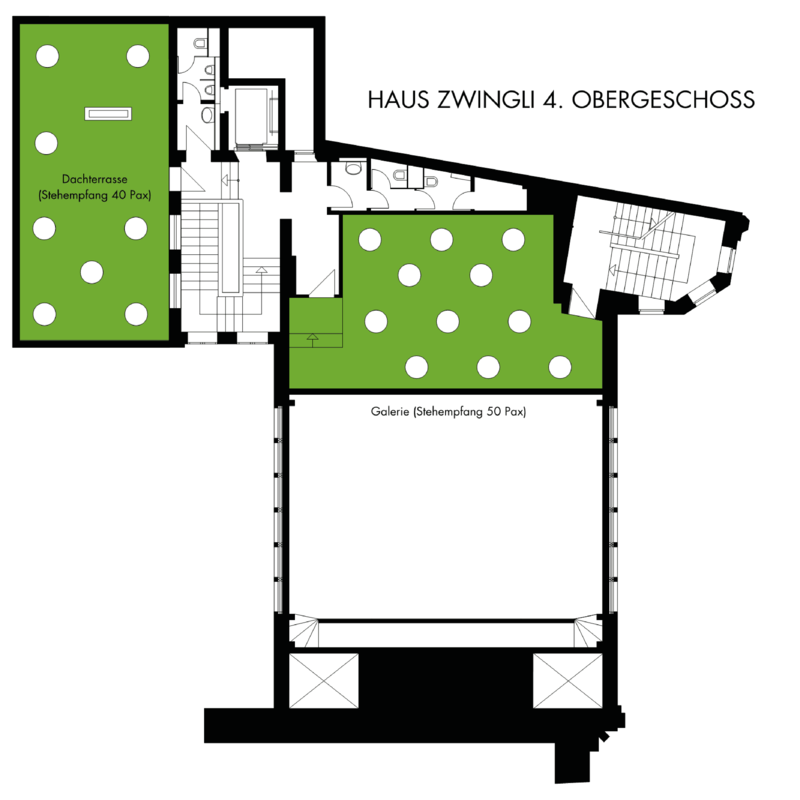 The rooftop terrace of this venue extends out from the gallery off main hall, the Huldrych-Saal. 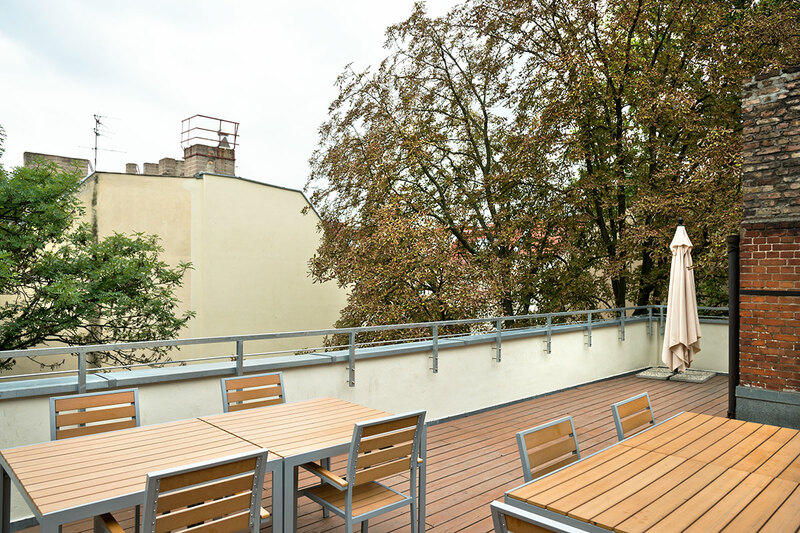 With good weather, up to 60 people can enjoy the quiet atmosphere here looking out onto city tree tops and Zwinglikirche next door. 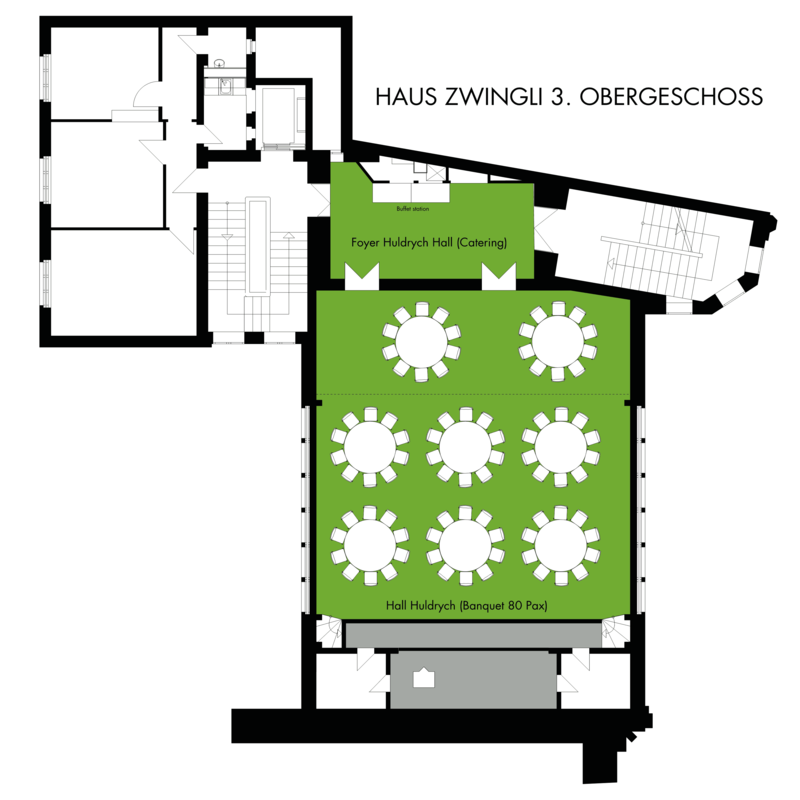 The Haus Zwingli reception room leads onto the building's inner courtyard, which lies between Zwingli Haus and Zwinglikirche. 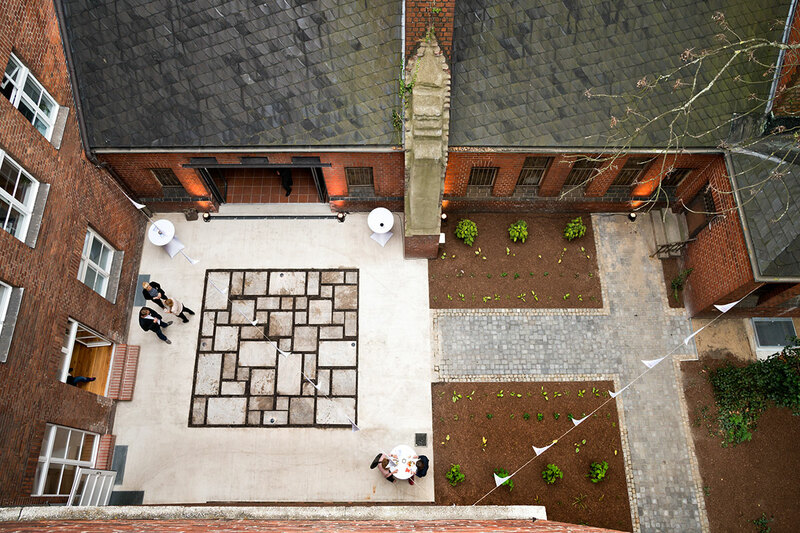 The reception room has floor-to-ceiling windows looking out onto the beautiful yard. 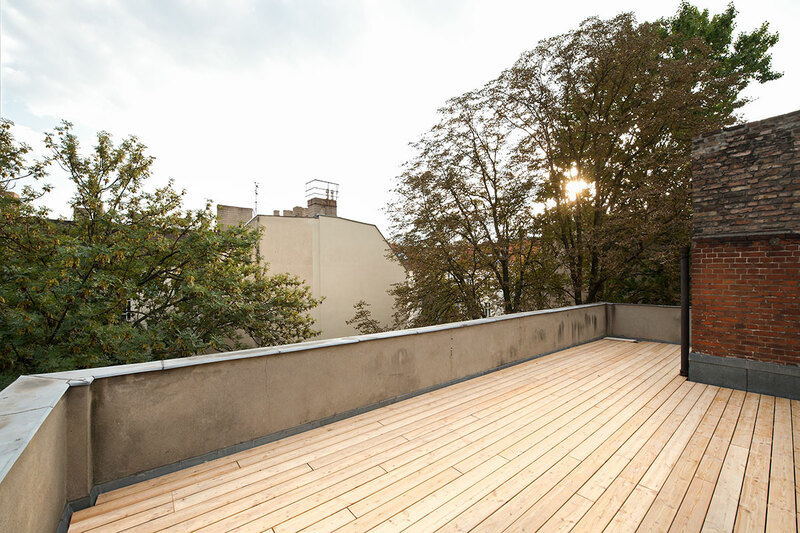 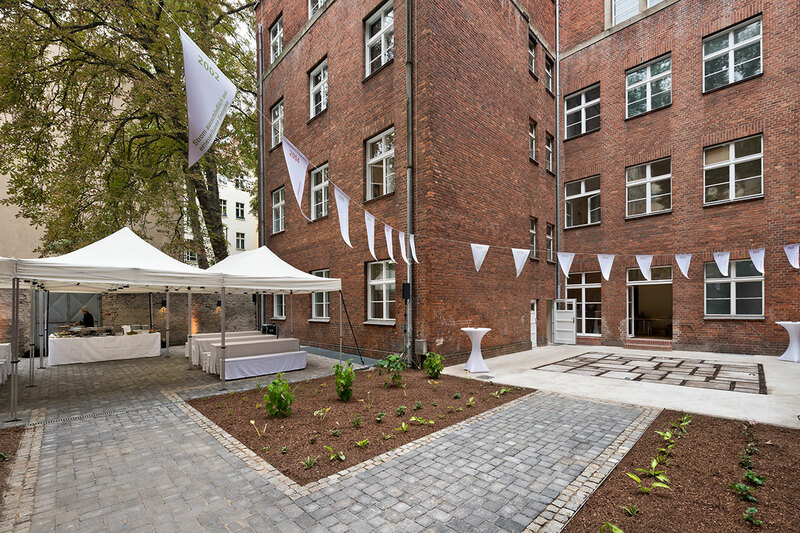 This 45m² reception room is perfect for smaller meetings or workshops, and when combined with the quiet inner courtyard, both spaces become a perfect open-air venue. 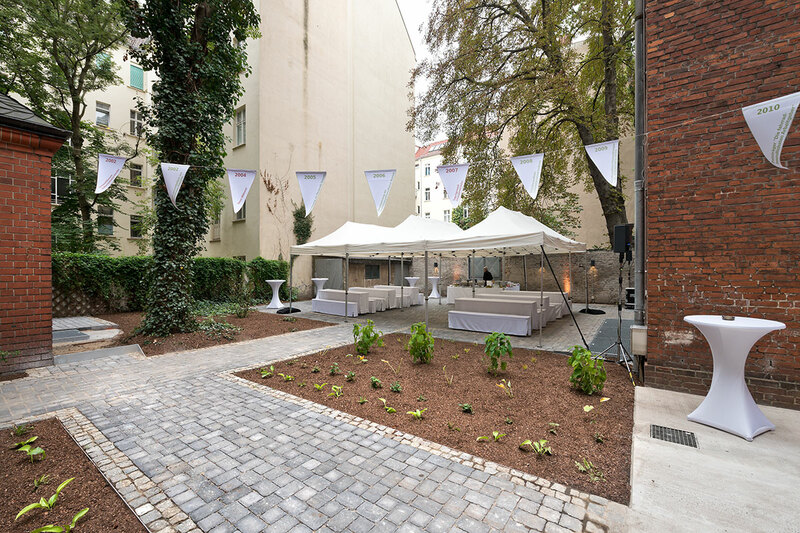 Whether for catering or reception spaces, the inner courtyard and its adjoining reception room are also excellent spatial additions for events in either the Haus Zwingli or the Zwinglikirche venues. 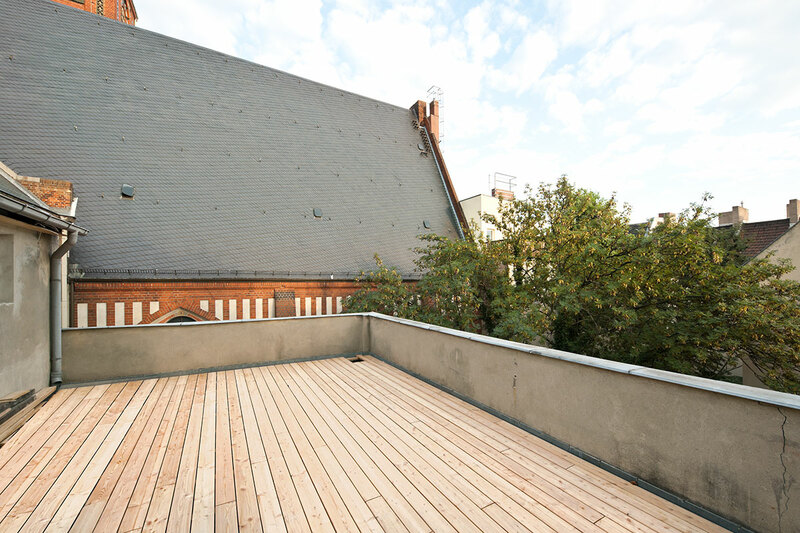 300m from S/U-Bahn station Warschauer Str.